Because the new photos were actively selected when they were added to the album, they become the new ‘stack picks’ for that album. This means I can collapse all the stacks and just see the new photos. They’re still stacked with the originals, and in the main project the originals are still at the top of the stacks. 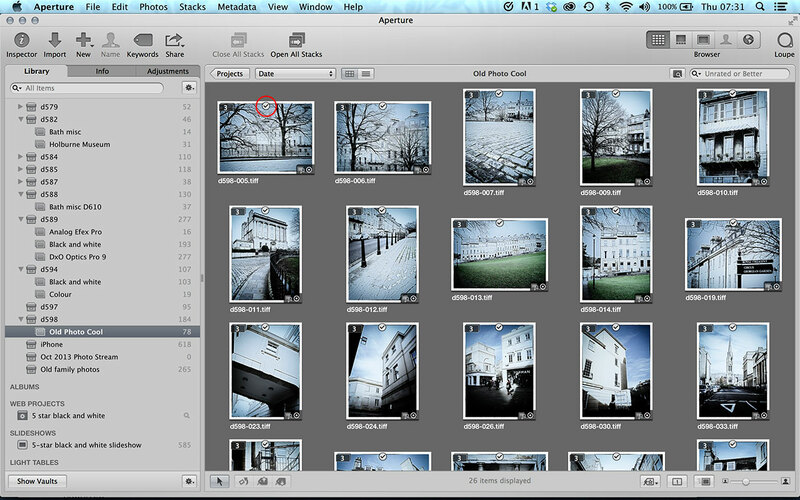 This is one of the really smart features in Aperture – you can have different stack picks in different albums. This comes back to what I was saying earlier about creating something useful with all these effects. I’ve now got an album of shots with a consistent subject and treatment which is much more interesting than a few isolated experiments dotted around my image library. 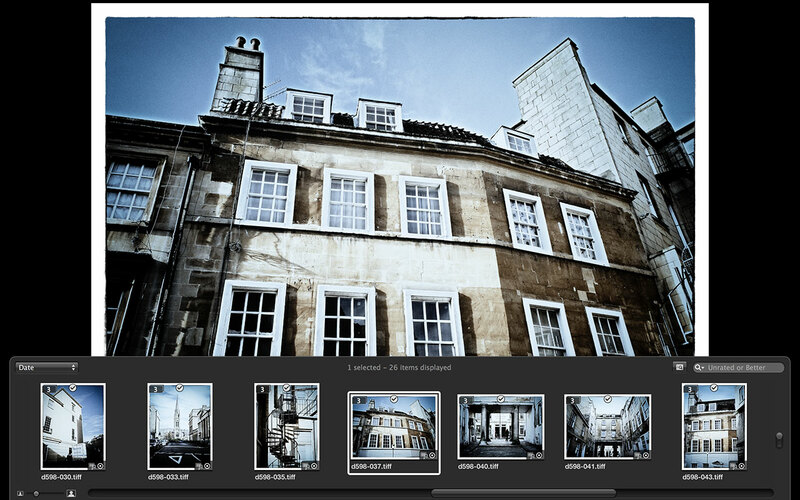 I can browse through it in full-screen mode, turn it into a slideshow, make it into a web gallery or even turn it into a photo book, all from within Aperture.